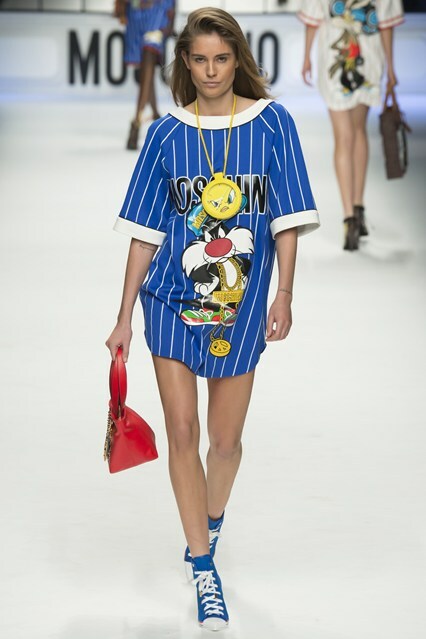 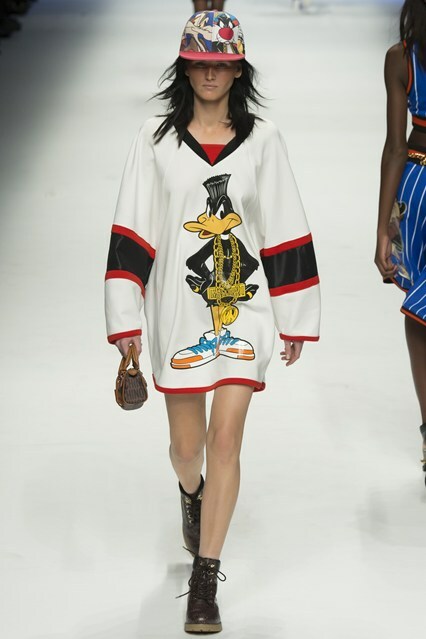 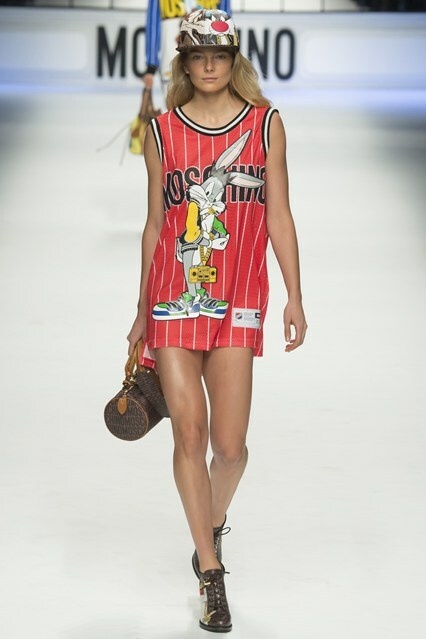 Jeremy Scott for Moschino lit the runway with famous loveable cartoon characters. 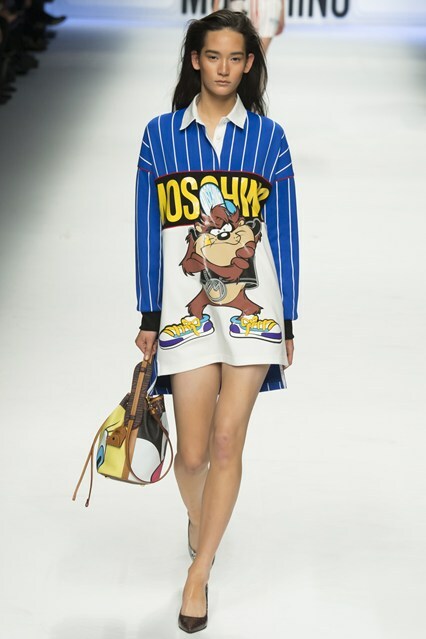 I love the use of looney toon characters. 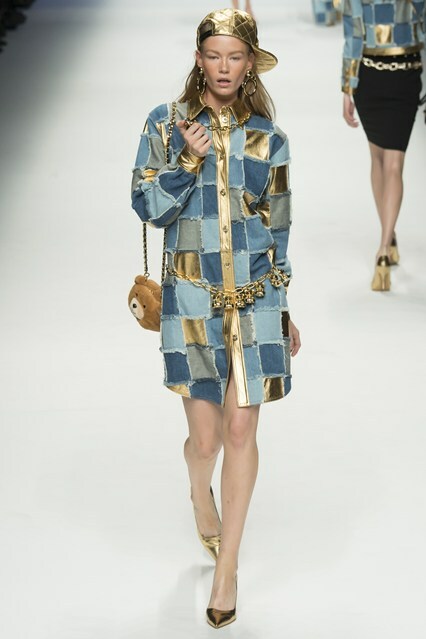 There was also some unique patch work with denim. 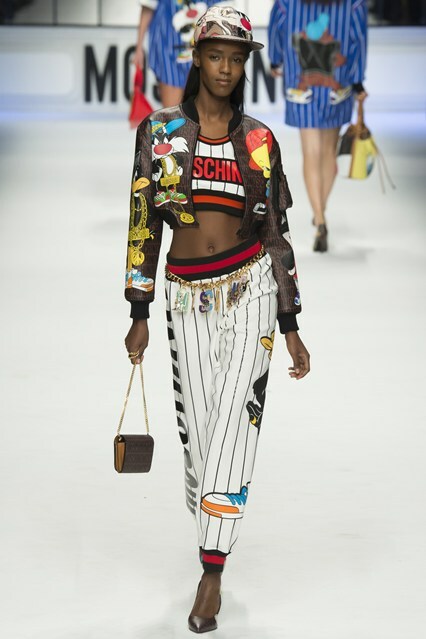 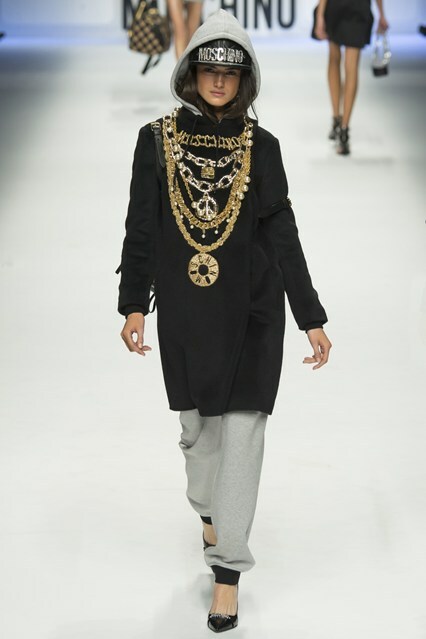 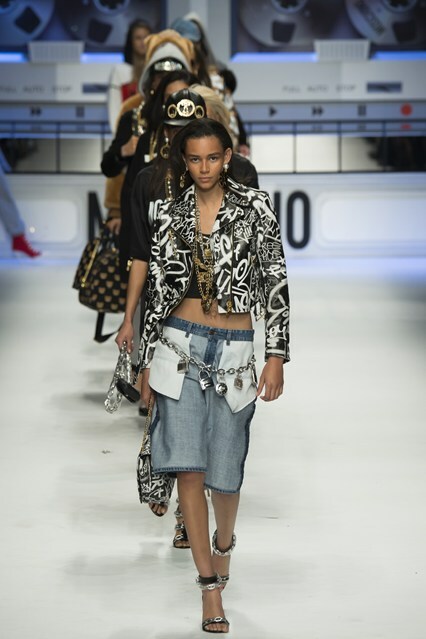 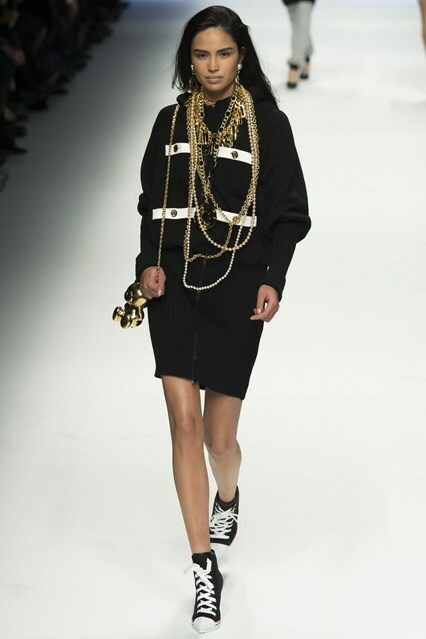 I like the casual fun/street signature look that Moschino brings to the fashion world. 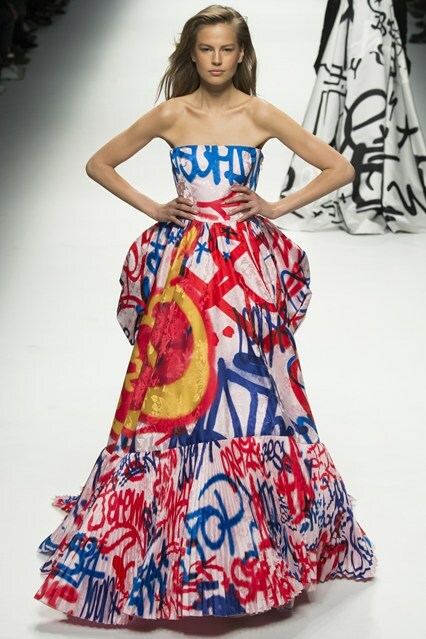 The gowns are structured and the graffiti gives the dresses a huge pop. 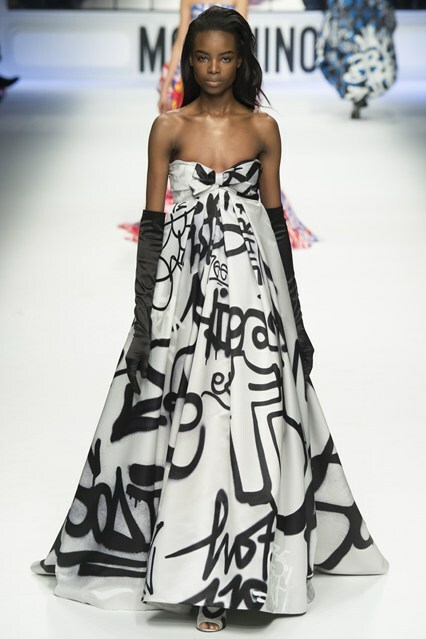 Here is a look at the runway show from Feb 26/15.